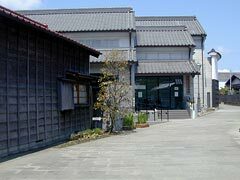 The Museum: 20 - 30 min. The Former Residence: 5-10 min. * Recommended to enter before 4 P.M.
* The Former Residence is open on Mondays. * Also, please check our calendar. Traffic control may be enforced in the vicinity during the period of the Summer (July) and the Autumn (October) festivals and on the day of marathon . 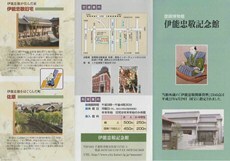 * For more information on the traffic controls, please visit the web site of Katori City (Japanese). 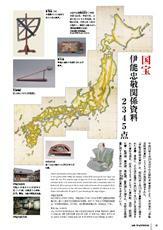 For the students of high school or younger in Katori City, the admission fee is exempted. Any coupons etc. are not valid. Only cash may be accepted. The common tickets, valid also for the Suigo-Sawara Floats Hall, are available with Yen 800 for adults and Yen 350 for high school students or younger. 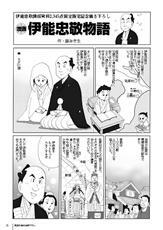 Cartoon "The Inoh Tadataka Story" / The National Treasure of Japan "Inoh Tadataka related 2,345 items"
[By train] 10 minutes' walk from JR Sawara Station (Narita Line). [By car or bus] 15 minutes from the Sawara-Katori exit of the Higashi Kanto Expressway. 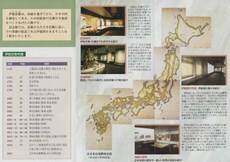 [Detailed Map] Please click here（外部サイト）. * Buses are supposed to park in the motor coach parking space or in the parking space of the Suigo-Sawara Floats Hall. * For more information on the traffic control during festivals, please here(PDF:1,481KB).